Gold sector as represented by $HUI is on a long-term sell signal. Long-term signals can last for months and are more suitable for investors. 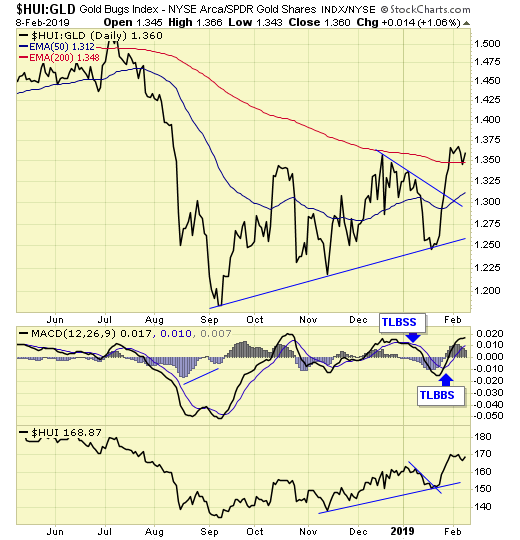 Gold sector as represented by $HUI is on a short-term buy signal. Short-term signals can last for weeks and are more suitable for traders. 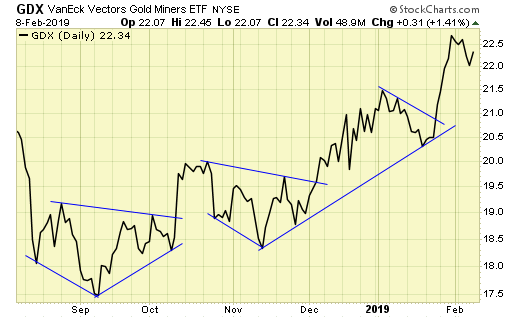 GDX – our gold stock ETF has confirmed bottoms with breakouts. Our gold ETF has also confirmed bottoms with breakouts. 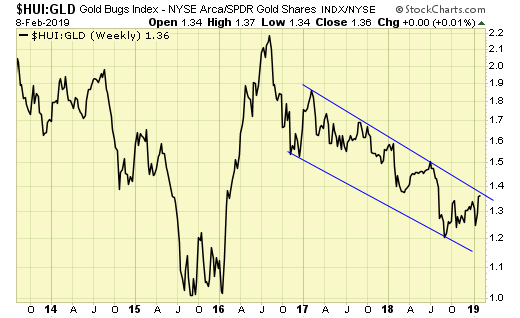 Our ratio between gold and gold stocks is on buy signal. 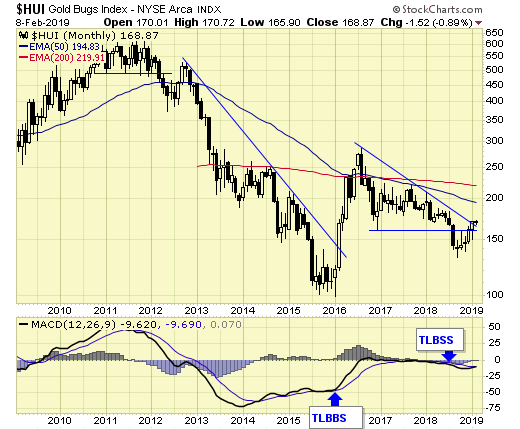 During an up cycle and an up trend, gold stocks always outperform gold. 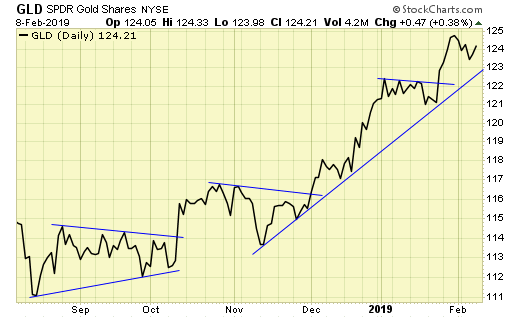 The long-term chart of the ratio is now at resistance. A breakout will confirm that the multi-year correction is over. 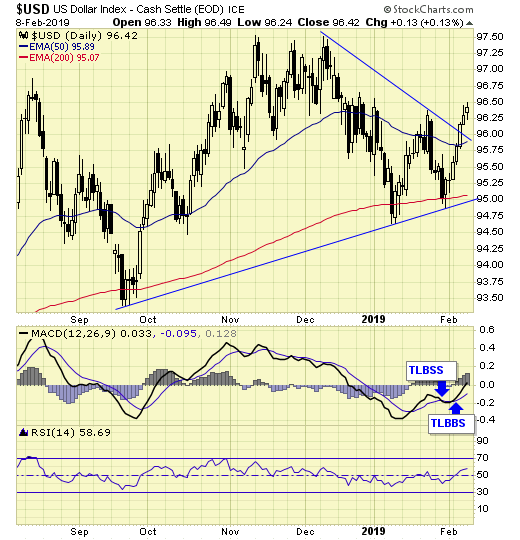 USD – on short-term buy signal. 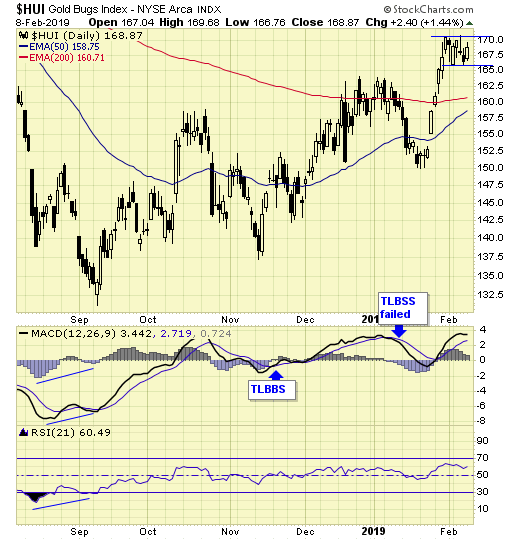 Gold and gold stocks remain firm despite a strong dollar, which is supportive for overall higher prices in the gold sector. We are holding positions and staying the course.